Greetings! It’s hard to believe that this month is the 40th anniversary of Holsten Galleries. My first wife Chandra and I opened the gallery in Stockbridge, Massachusetts on June 10, 1978. Originally we were a multi-media gallery featuring ceramics, wood and other media as well as glass. 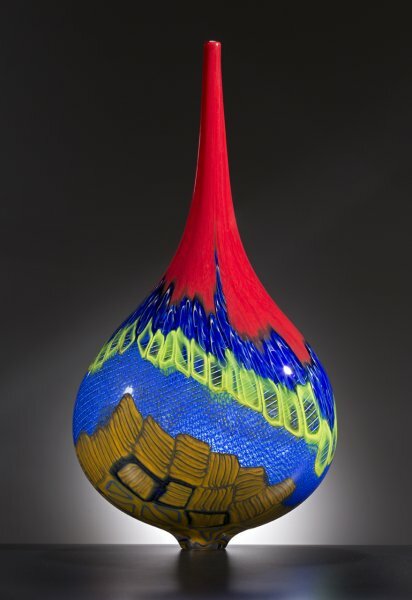 By 1980 we had opened a second gallery in Palm Beach and within a few years we began to show glass art exclusively. The studio glass movement has come a long ways since those days and the quality, variety and collectability of glass has grown exponentially. 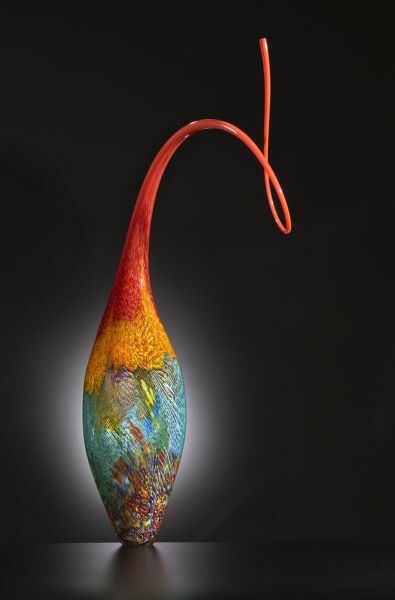 Many of the artists that I still represent, including Dale Chihuly, Jon Kuhn, William Morris and Lino Tagliapietra have been with the gallery since the very early years. 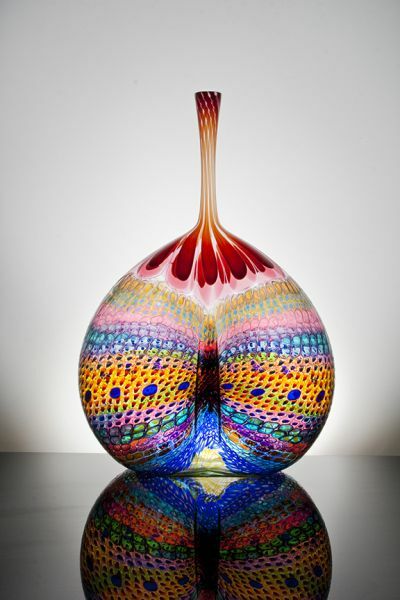 I want to take this moment to thank each and every artist and collector who has helped to make Holsten Galleries one of the longest operating glass galleries in the country! Lino’s "Fuji" series is one of the most painterly of all and this piece from that series is no exception. Everything about this piece is exceptional: the bold color palette, the technical excellence, the dramatic overall effect. Bravo Lino! God Particle by Michael Taylor, 22 x 18"
This Michael Taylor piece was finished in 2017 and is one of my favorites. The form is harmonious, the gemlike colors are perfect together, the balance is just right. I love this new piece by Jenny and Sabrina. There is such dignity and serenity in the attitude of the three figures. The amber color seems perfect for this configuration. What an exquisite piece! 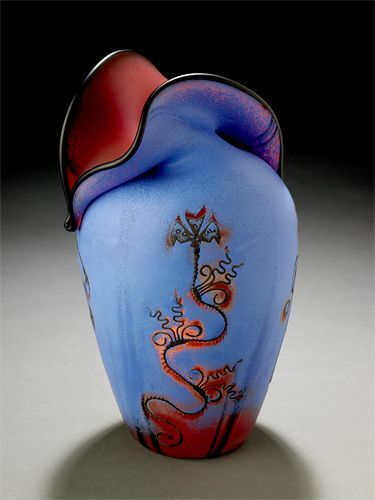 This blown glass vessel by Jose Chardiet is so sophisticated and understated. I love the color combination, the organic form and the simple line drawing. This is one of my favorite pieces I have seen from this earlier series of Stephen Powell’s work. As the title suggests, this piece is playful and energetic. Exuberant might even be the word here. The variety of colors in the murini is as appealing as any that I have seen. Thank you for taking a few moments to join with me in celebrating our 40th anniversary and the talented glass artists who bring so much joy to all of our lives!